The Fourth Industrial Revolution, or Industry 4.0, is all about smart technologies and big data for engineers. 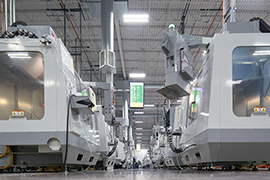 Using the Industrial Internet of Things (IIoT), manufacturers can push products to market more quickly. Complete the form on this page to download your free white paper. Your download is sponsored by Proto Labs.